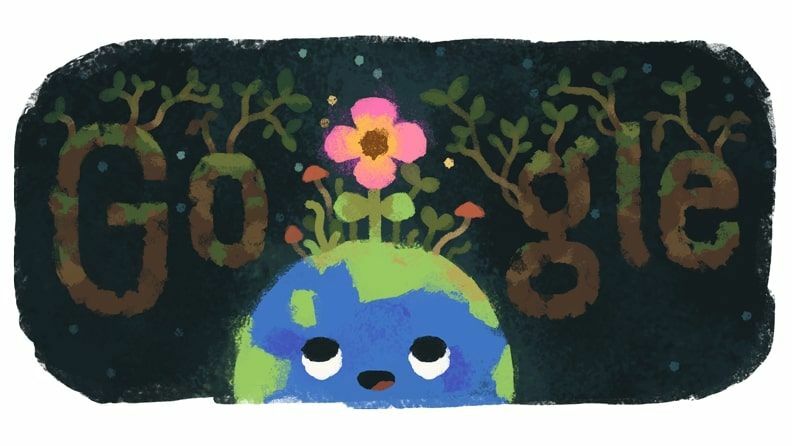 The seasons change on Earth today, and Google is getting into the equinox spirit with a pair of doodles to celebrate the yearly milestone. Today, March 20, marks the the vernal equinox, when the sun passes over Earth's equator (from our perspective on the planet) and the Northern Hemisphere is tilted toward the sun. That leads to longer days (and the start of spring!) in the north and shorter days (and autumn) in the south. To celebrate the seasonal change, Google created two doodles: one celebrating the first at of spring for the Northern Hemisphere, and other for the first day of fall in the Southern Hemisphere. A new Google Doodle celebrates the beginning of autumn in the Southern Hemisphere. Today also marks the full moon of March, called the full Worm Moon.